Based on the Dean of FTUI Decree No. 737/D/SK/FTUI/IX/2018 dated on 26 September 2018, Dr Hendri DS Budiono as Dean of Faculty of Engineering Universitas Indonesia has appointed Dr Wisnu Isvara (General Manager of Lemtek UI) as acting Director of Lemtek UI, because Prof Dr Dedi Priadi (the previous Director of Lemtek UI) had been appointed by Rector of Universitas Indonesia as Vice Rector for Human Resources and Cooperation on 10 August 2018. 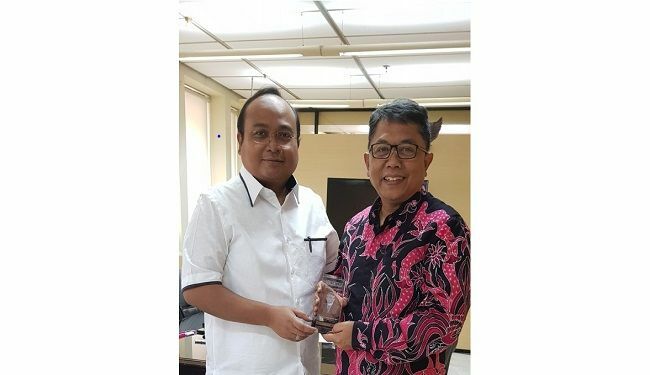 Dr Wisnu Isvara will hold the position as acting Director until the director's selection process is completed and the new director is announced by the Dean of Faculty of Engineering Universitas Indonesia. Thanks with high appreciation to Prof Dr Dedi Priadi for your services and dedication to Lemtek UI.